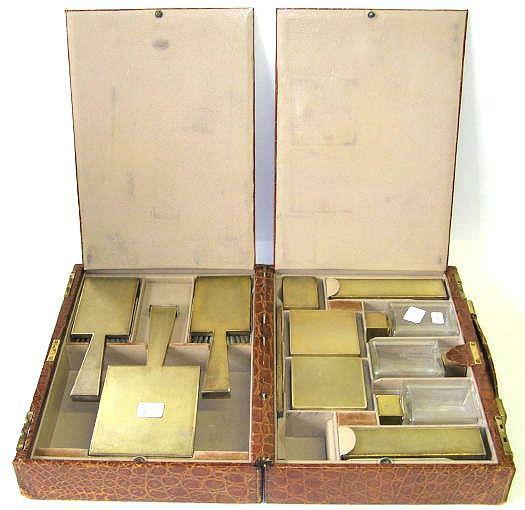 This is a magnificent and rare toiletries set by Asprey in its original crocodile leather travel case. Believed to date from the 1920s to 1940s. 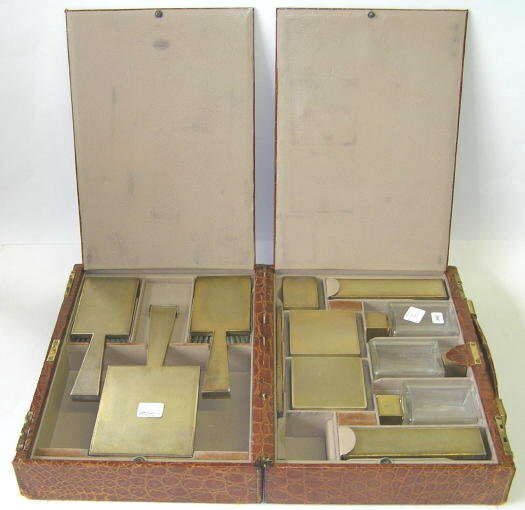 Contents are made from glass and sterling silver with gold wash. Case measures 12.5 x 9.5 x 4.5 inches and case and contents weigh 11 lbs. All contents are original to the set and only one piece is missing. 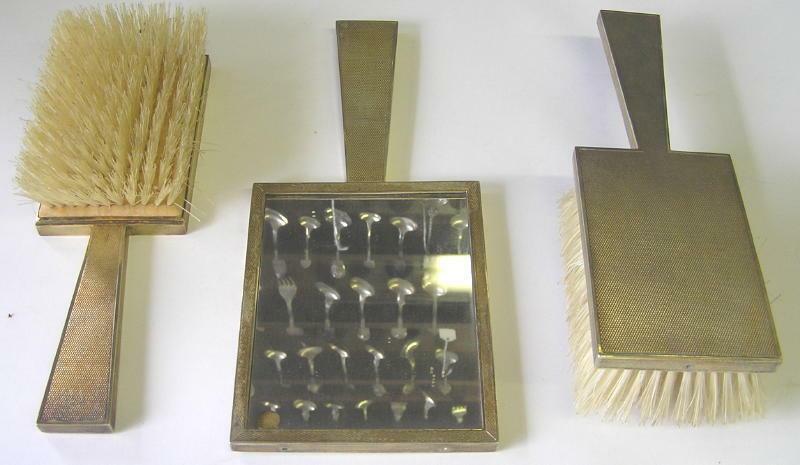 Included are brushes, a large mirror, and glass jars and bottles for perfume and other toiletries. No key. 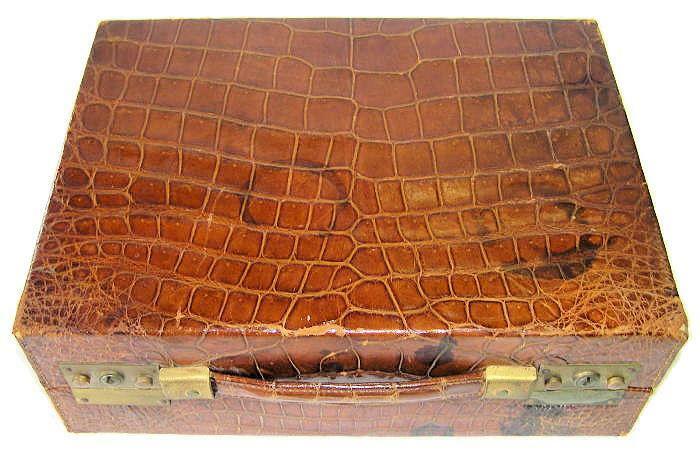 All containers carry the "Asprey England" impressed mark, along with the lion passant and leopard symbols. 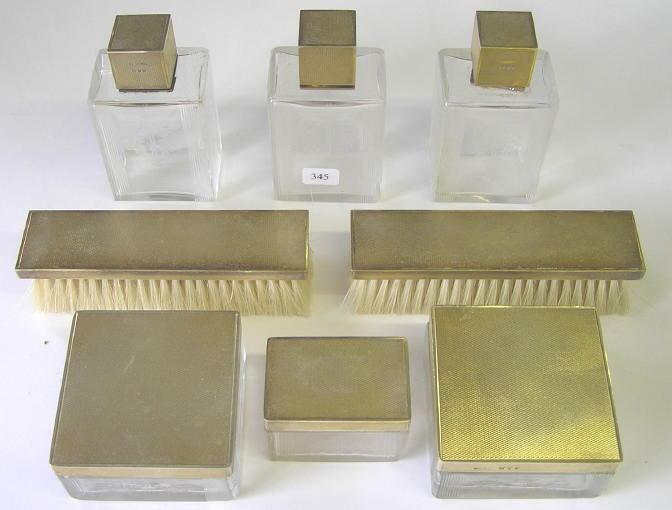 This is the only vintage Asprey toiletry case of its kind we've seen anywhere online, so don't miss a chance to own this exeptional item. Thanks for visiting. Please let us know if you have any questions or comments. 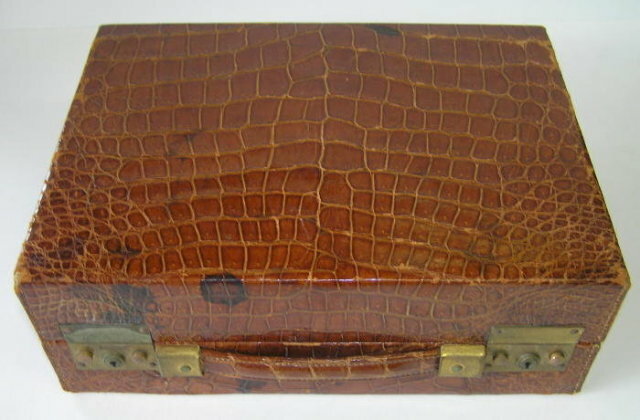 Items Similar To "Art Deco Period Vanity Travel Case in Crocodile Leather by Asprey"